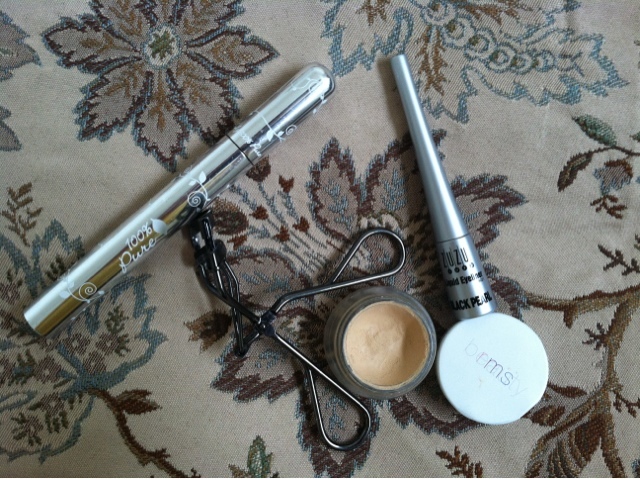 I’ve mentioned my monolid before, and basically, my eyes have a built-in hood to shield from the rain. Yeah, just kidding, it’s not very effective against rain. But because of the hood, I can get away with (rather, I need to have) a thicker line of eyeliner on my top lid if I want it to make any difference for my eyes. I usually make it thick enough so it barely peeks out when my eyes are open, but the thickness depends on my mood for a given day (aka, it depends on how steady my hand is and how early I have woken up). 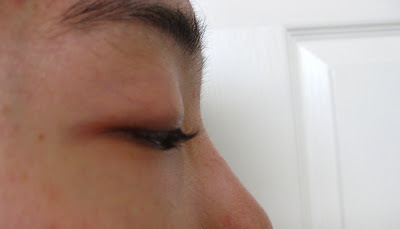 To wing out the liner into an everyday cat-eye, I just finish off the end with a curve that is a small extension of the bottom curve of my eye. And then I walk around with my eyes almost closed for a couple minutes to let the eyeliner dry or else it’ll smudge into something crazy (fixable with jojoba oil on a Q-tip). When my eyes are closed, you can see a bit of the sparkles that are present in this Black Pearl version. I actually didn’t mean to get sparkles; I was just looking for plain black (which is the Raven version) and accidentally grabbed this instead (This seems to becoming a daily theme because today I grabbed pudding but I was looking for yogurt instead..)–but I don’t mind the extra sparkle and it performs about the same as my previous Raven version. So, suitable for sensitive eyes and contact lens wearers? From a long-time hard contact lens wearer, yes. I don’t get any irritation from this at all in my eye or on my eyelid. Given, I haven’t intentionally put it in my eye, and I never put liquid eyeliner on my waterline, so I don’t know how that is (probably a bad idea and possibly painful, I would imagine). For all the rubbing that goes on with the hood from my eyes opening and closing, the eyeliner wears pretty well. From more of a distance (aka if you’re not 5 inches from my face), it looks about the same as the morning (even those silly eyelashes that I accidentally coated with the eyeliner during application), and you can’t really tell that the middle of it has worn off a bit. 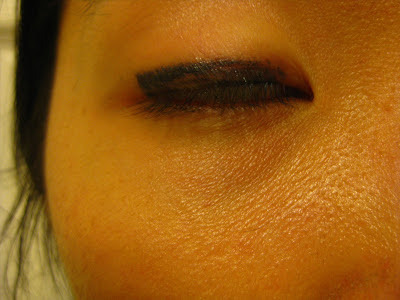 There is a bit of smudging up on the eyelid from my funny folding and usually some of it ends up on my undereye area as well, but it’s nothing that I can’t fix with a quick swipe of a Q-tip. If you don’t have a hooded eyelid, I would probably guess that it would wear better on you since you don’t have that constant eyelid hood action eroding away at the eyeliner. Since my eyes are small enough, I don’t usually wear liner on my lower lashline, so I can’t comment on smudging on that front. In my last post, I promised picture evidence of how the 100% Pure mascara wears throughout the day, and these pictures are a pretty good representation of an average day for me. When my eyes are closed, you can see the curl has worn off a bit but it’s still better than my naturally super straight lashes. In conclusion, while I wish the eyeliner would stay in perfect shape all day, with my eyelid hooding, it still wears quite well. It’s a straightforward liquid formulation with a straightforward little brush, which I do appreciate, and it easily comes off with jojoba oil, which I also appreciate. 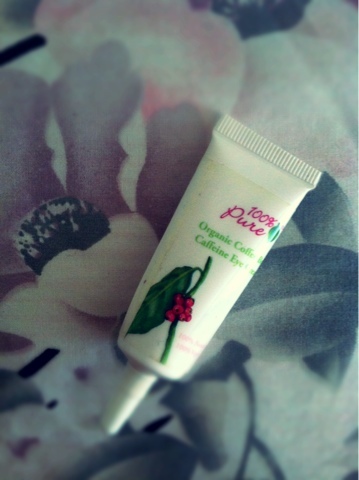 Ingredients: Water, Sorbitol, Cetyl Alcohol, Iron Oxides, Mica, Jojoba Oil, Bentonite, Bisabolol, Tocopherol, Xanthan Gum, Lecithin, Eyebright Extract, Titanium Dioxide, Cellulose Gum, Hectorite, Grapeseed Extract. Last summer, I switched out my Maybelline Full N’ Soft mascara for 100% Pure Fruit Pigmented Mascara in Black Tea after seeing it recommended on sites like No More Dirty Looks and Turby and John while being majorly intrigued by the fruity ingredients (I was like, “Tea for my lashes?? I love tea!!!”). 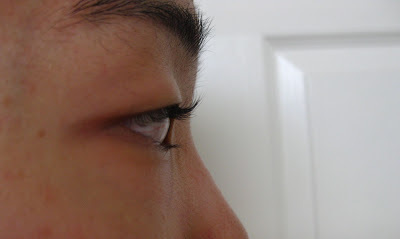 A bit of background: I have stick-straight, Asian hair and thus stick-straight, Asian eyelashes. 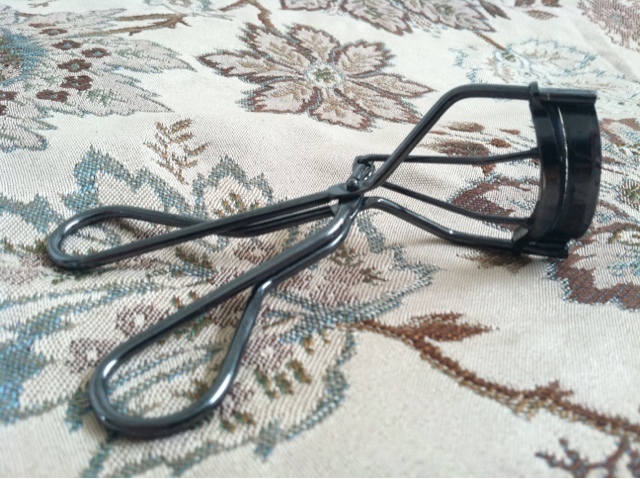 Thus my Shiseido eyelash curler is a bit of a lifesaver, and how my mascara looks partially depends on how well I’ve curled my lashes for the day. Lengthens, separates, thickens, and glosses? For the most part, I would say yes. When I regularly clean the mascara wand, I get great separating without clumping (note: regularly clean your mascara brush). As for lengthening and thickening, most of the time my eyelashes post-mascara just look like my natural eyelashes but a bit better and a bit more defined. Also, I have to admit right now the mascara is at the end of its 6 month run (maybe even 7…) so during its hey days it probably was doing a bit better on the thickening front. Suitable despite contacts or sensitive eyes? Take it from a hard contact wearer for many, many years–yes (but eyelashes in the eye still hurt like crazy–but that’s because eyelashes just don’t belong in there). 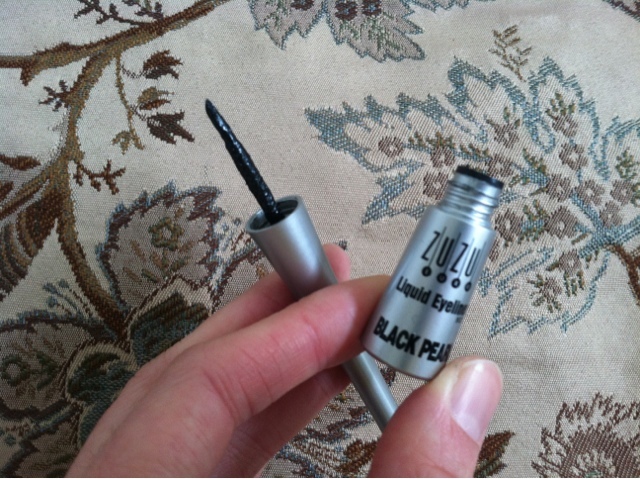 Also cool–I often accidentally knock the mascara wand onto my contact during application, and any mascara residue that ends up on the contact disappears away in a couple blinks. With my old non-clean mascara, it would stay there and drive me crazy. Imagine walking around and having part of your vision randomly smudged. Absolutely infuriating. Water and smudge resistant? Well. I have cried in this mascara, and I got the craziest panda eyes running down my face ever (okay I was also wearing eyeliner) and my mascara was completely removed via tears (and my eyeliner too. Man, my tears are strong). So, not exactly water resistant. 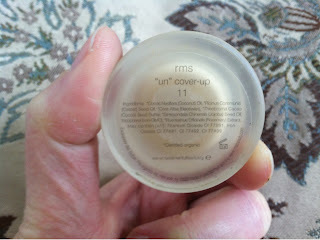 About smudges–even when I wore non-clean, waterproof mascara, I always got smudges. With 100% Pure’s mascara, I still have to wipe away smudges under my eyes several times in the day. With that, more on background: I have silly Asian monolid eyes, so my fold folds the non-economical way such that my lashes sit under a hood of eyelid rather than over. So my silly folding may be making me more susceptible to smudging. 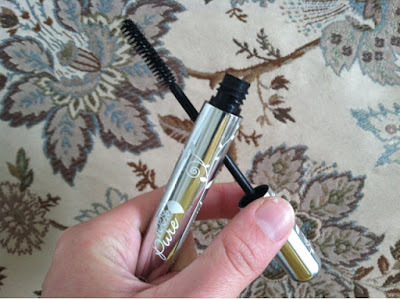 All in all, I have liked this mascara on a daily basis especially knowing that it is actually good for my lashes. It doesn’t do any magic tricks and it’s not like it never smudges nor does it give me crazy voluminous and lush lashes (then again, it’s not what it’s for, so no big), but it does open up my eyes and usually holds a curl for a full day (if I’ve curled well–picture evidence for this will be in the next post). Easily removed with jojoba oil at the end of the day. Just don’t have a good cry wearing this. P.s. it smells like berries and chocolate. Yum. With two majors and all of the world to conquer, to me, the 9-hours-a-night sleep is a myth. (It hangs out with the Lochness Monster and the Easter Bunny.) And puffy, dry eyes are really hard to blink and keep open, especially with 8am Friday classes.